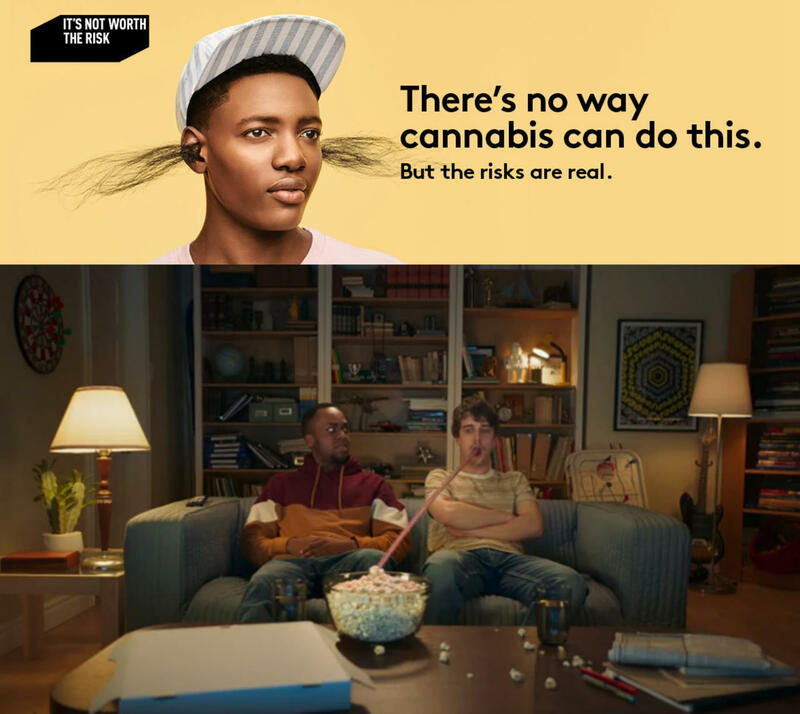 Following news that provincial poison control centres have seen three times as many excessive-cannabis cases since legalization, Quebec launched a $1.5M campaign to warn about cannabis that will run ads in movie theatres, TV, radio, and online. Aimed at 15- to-35-year-olds, the ads are nonsensical and bizarre in a bid to attract attention. Degrassi-star turned public health professor Rebecca Haines-Saah dismissed the ads' outlandish images as a relic of earlier, failed approaches to drug education, telling the Leaf, ""Maybe a nine year old (or) ten year old would see this ad and prompt a discussion, but I think actual teenagers in that fifteen to nineteen category are just going to tune this out."